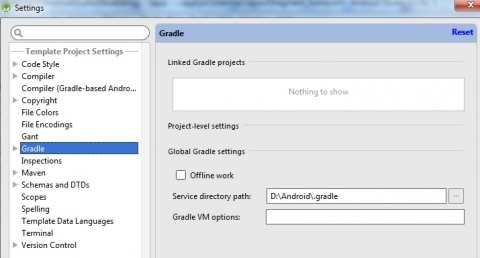 From Android Studio, go to File > Other Settings > Default Settings. Change Service directory path to desired folder. Close Android Studio if any. Go to Advanced tab > Environment Variables. 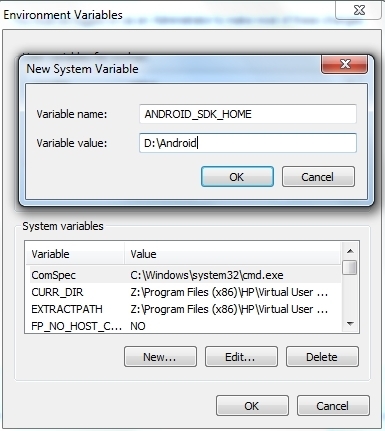 Under System variables, click New... button. Our last step is to move presumably cache folder for AS. This involves editing a text file of AS to tell AS to refer to custom location for cache folder. Go to the folder where AS is installed (e.g. C:\Program Files\Android Studio). Go to bin directory and edit idea.propertis file using your favourite text editor. 웅자 홈피 계속 업데이트 됩니다 ! fail2ban ip 해제 간단하게 (release)하기. Copyright ⓒ 2010. 웅쓰, Skin designed by Creasmworks. All rights reserved.